Scott Moe hasn’t been sworn in as Saskatchewan’s premier, but he’s already taking a page from Brad Wall’s playbook — wading into an out-of-province dispute over pipelines. Scott Moe hasn't been sworn in as Saskatchewan's premier, but he's already taking a page from Brad Wall's playbook — wading into an out-of-province dispute over pipelines. Moe slammed the B.C. 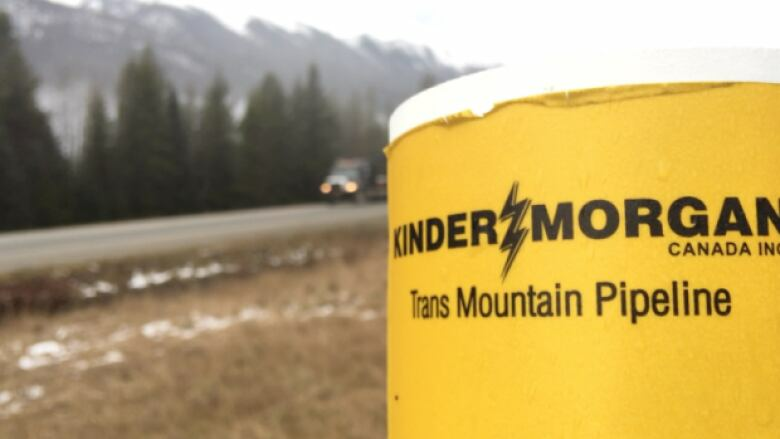 government's proposed new restrictions on shipments of bitumen that would flow through Kinder Morgan Inc.'s Trans Mountain pipeline from Alberta to the West Coast. "Our government strongly opposes provincial measures announced yesterday by the B.C NDP," Moe said in a statement posted to social media Wednesday evening. "The B.C. NDP are playing politics at the risk of thousands of Canadian jobs, future infrastructure projects as well as investor confidence in our energy industry." Moe said. "We will support the Government of Alberta in any actions against this political decision." The issue flared up earlier this week after B.C Environment Minister George Heyman issued the proposal to restrict any increase in diluted bitumen until the government conducts more spill response studies. Alberta Premier Rachel Notley then threatened economic retaliation and legal action against what she called the "unconstitutional" move by the B.C government. Moe's support of Notley and Alberta comes about a week after Saskatchewan and Alberta resolved the plategate controversy — a trade dispute of their own. It's not clear whether Moe has spoken with Notley since he became Saskatchewan Party leader and premier-designate last weekend. Thursday, Karen Hill, a spokeswoman for the executive council, said Moe's Facebook statement would be his only comment on the matter until his next meeting with reporters on Friday. 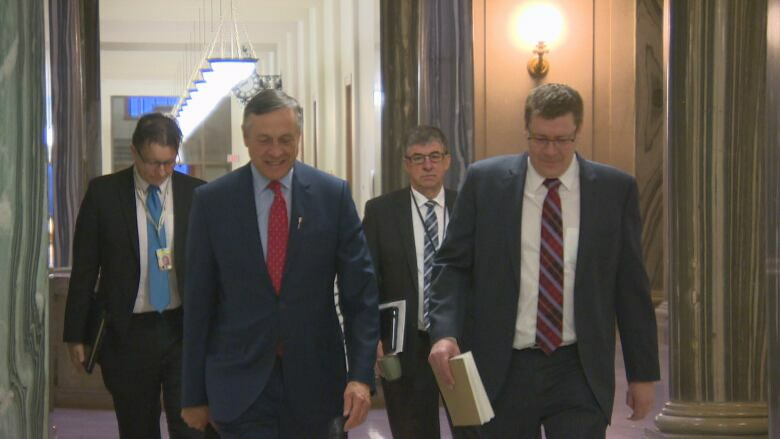 Earlier this week, Moe said that he looked forward to speaking with Notley. 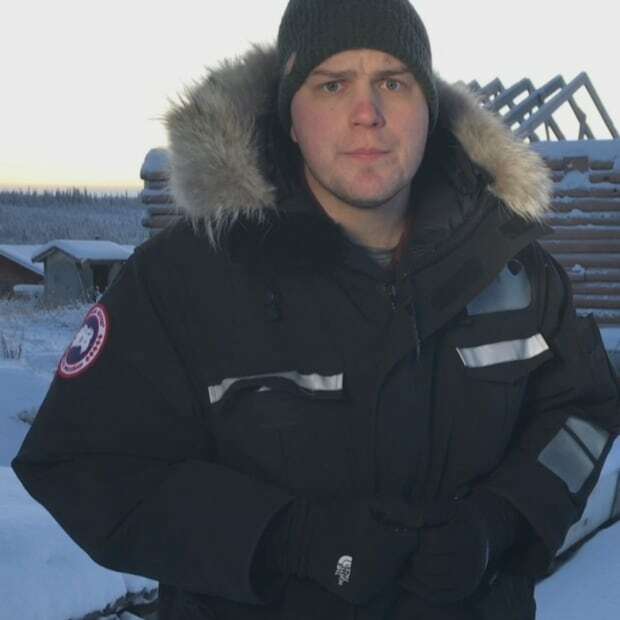 He said there would be some tensions between Saskatchewan and Alberta, but that he expected the two to have a healthy relationship. "We'll have some differences and I think that's OK," he said on Monday. "But I think there will be a number of points we agree on as well." It appears the Trans Mountain Pipeline is one of those points. Alberta has been lobbying the federal government to force B.C. 's hand in agreeing to project. (CBC)Moe's campaign for Saskatchewan Party leader included strong support for pipeline expansion and Canadian oil producers, continuing the path set by outgoing premier Brad Wall and his ministers. In November, Wall and the mayor of Burnaby, B.C. traded barbs on social media on the progress of the Trans Mountain pipeline. When Burnaby's mayor asked Wall to apologize, he refused. Meanwhile, there are a few more details about who will make up Moe's staff. Hill confirmed to CBC News that Shannon Andrews will be his chief of staff. Andrews moves into the position after serving in the offices of a number of different ministries within the provincial government. She was most recently chief of staff to the Social Services minister. She takes over the position from Ken Krawetz, Wall's last chief of staff, former deputy premier and one of the founding members of the Saskatchewan Party. Krawetz is now leading the transition team from Wall to Moe along with Reg Downs, who was named senior policy advisor within the Executive Council on Jan. 24. Downs will start in that role on July 1. Other senior staff positions will be announced in the next few days, Hill said. Moe will be sworn in as premier, and introduce his cabinet on Friday.